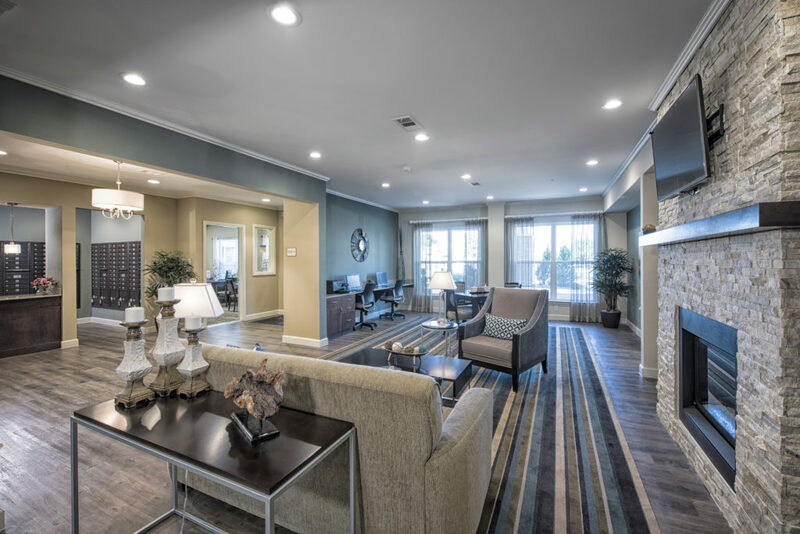 This new independent-living facility is designed for residents 55+ who are looking to downsize and relax with friends in a full-service, active community setting. KKT designed upscale, comfortable interiors for the 140 units of fully equipped one- and two-bedroom apartments. Each home features wood grain vinyl flooring, granite countertops, and stainless-steel appliances. The design of the facility creates opportunities for building community while respecting individual preferences. KKT-designed resort-quality amenities include a bistro, a great room for community events, a movie theater with reclining massage seats, four fireplace lounges, a craft studio, a billiards room, a private dining room, a fitness and wellness center, and a full-service salon. These comfortable and inviting spaces blend modern and traditional finishes to delight residents and guests. Every detail works together to offer residents a luxurious and effortless lifestyle.